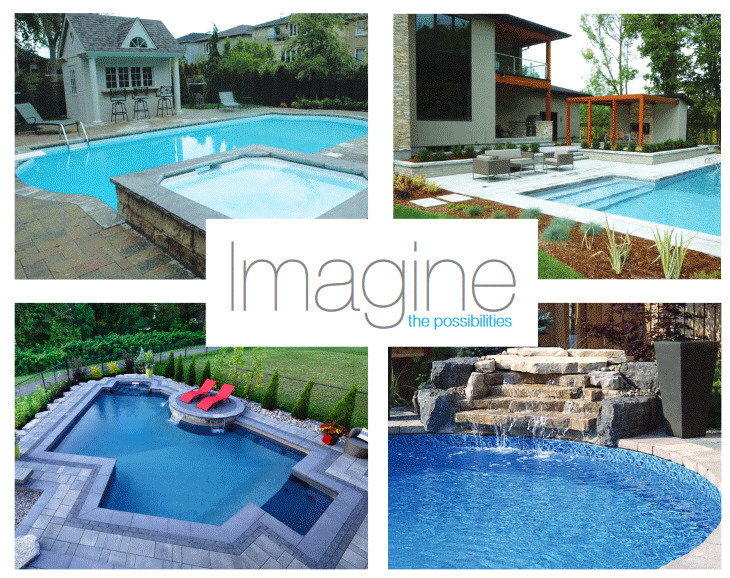 Many people own cottages and out-of-city properties they escape to on weekends; however, this Toronto-area family can escape any day of the week, thanks to the unique ‘waterfront’ property Gib-San Pool and Landscape Creations designed for them. From an afternoon by the pool, followed by a barbecue and relaxing dip in the spa, to hours in front of the fireplace, there is no reason for them to venture beyond their own backyard. The landscape and aquatic features cater to all age groups and were inspired by the family’s active lifestyle. Therefore, it was important the project incorporated various elements for playing, lounging, entertaining and relaxing. To pull this off, however, the grand features of the pool and landscape had to play off and co-ordinate with the impressive custom home. In doing so, Gib-San designed a 4.5- x 9.1-m custom-concrete swimming pool, with a depth transition from 1 m(3 ft) to 2.4 m (8 ft) as the focal point. Additional features incorporated in the pool area included an integral sun ledge (children’s play area), basketball net, custom water feature and attached spill-over spa. The sun ledge has a water depth of 76 mm (3 in.) and features custom water plumes in the floor, making it an entertaining splash area for kids. Along with custom deck jet, this area easily becomes an ideal spot for lounging and playing. The poolside basketball net was also installed to turn the shallow end into an active area for both younger kids and teenagers alike. The custom rock-face water feature at the back of the pool adds an organic sense to the overall landscape, as it acts as a waterfall and private grotto to provide the perfect escape. Nestled between the spa and water feature is a custom stone jumping platform, which also creates an independent water fall. The spill-over spa extends the usage of the yard and provides bathers a relaxing experience that is complimented by a custom-rock bubbler created as an extension of the water feature. Completing the landscape are two peaceful areas for dining and lounging. To emphasize and illuminate each specific ‘room’, Gib-San used contrasting terra cotta brick to separate them. To heighten the sense of uniformity, the natural-stone veneer on the fireplace and serving bar is a replica of the finish used on the home.